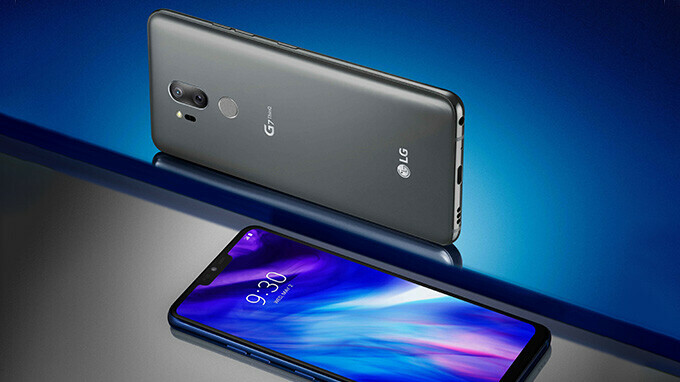 The latest entry in LG’s G-series of flagships, the LG G7 ThinQ, is finally official! And in case you are wondering, no it’s not pronounced “think”, but rather “thin-cue”, weirdly enough. That’s why the “Q” is capitalized. But naming curiosities aside, it’s the G7 – LG’s latest and greatest flagship device! It’s sleek-looking, powerful, has a beautiful display, and runs Android Oreo 8.0 out of the box. There’s a lot to love about the LG G7, indeed, so let’s have a look at some of the biggest stand-out features that LG’s latest flagship has to offer. Around the polished Gorilla Glass 5 back of the G7—which looks dazzling by the way—you’ll find a pair of cameras in a vertical orientation. It’s the usual LG affair – a standard camera paired with an ultra-wide-angle shooter for those stunning landscape or street shots. The front of the phone is also protected by a durable coating of Gorilla Glass 5 that nicely melts into the polished aluminum frame that keeps the glass body together. It’s quite a nice-looking phone and feels equally as nice in the hand. The LG G7 is also IP68 certified, which means it is dust- and water-resistant. 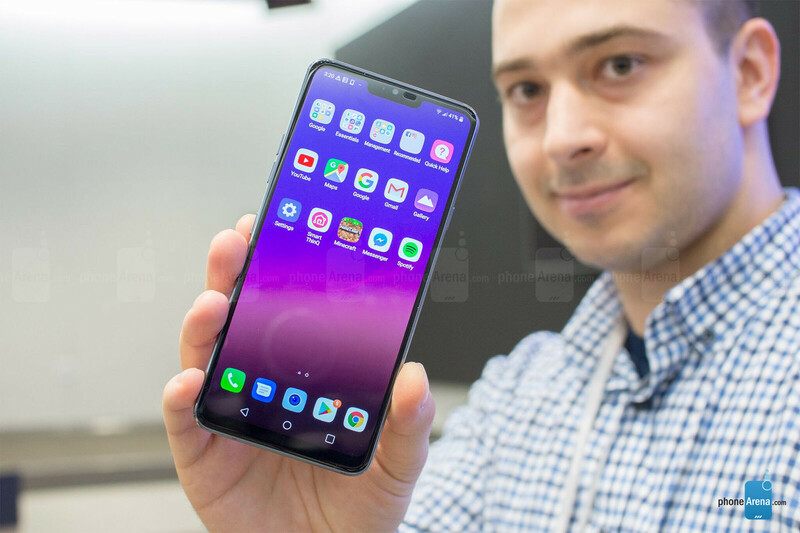 The LG G7 ThinQ features a 19.5:9, 6.1-inch FullVision display with a QHD+ resolution of 3120 x 1440 pixels. It’s quite the punchy panel, with a pixel density of 564ppi and impressive brightness, but it’s not OLED. 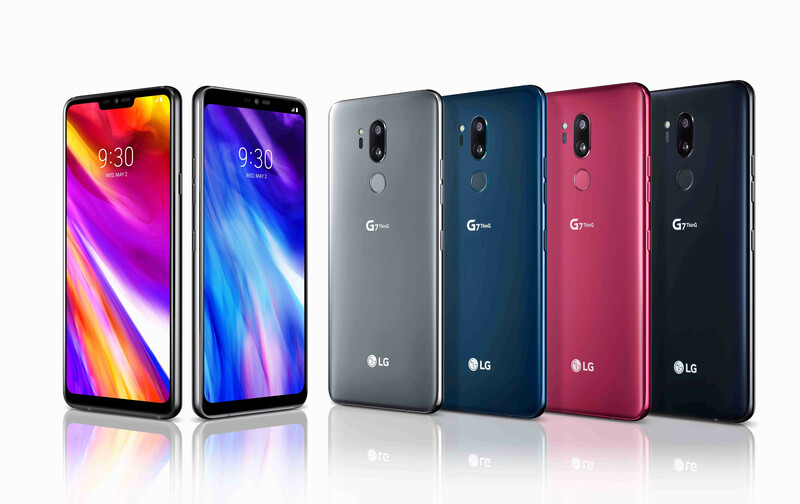 LG has instead opted to use an LCD IPS display in the G7 ThinQ, which may surprise you, considering the V30 had an OLED panel, but that’s how LG’s decided to roll with the G7. There’s also a notch in the display. It’s a wider one, like on the iPhone X, but can be “hidden”, so to speak, by applying a black stripe over the notification bar. It does help the notch blend in, though this trick would have been more effective, had the display been an OLED. But the IPS panel on the LG G7 has an interesting surprise – the ability to reach 1000 nits of peak brightness. Yes, you read that right. No wonder LG is calling it the Super Bright Display. To achieve this, LG has added a fourth, white sub-pixel to each pixel. At the same time, the display is up to 30% more power-efficient compared to the G6's, according to the company. Of course, the display can't keep up like that the whole time. This ultra-bright mode kicks in when there's a lot of ambient light, say, when you're out in the blistering sun, and it does help with legibility. It'll turn off on its own after 3 minutes, but you can turn it back on by tapping the "brightness" icon. 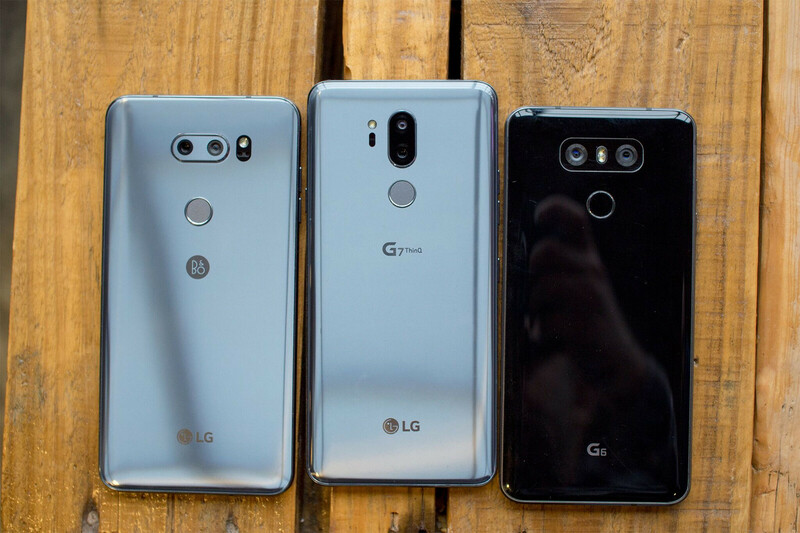 In true LG fashion, the G7 ThinQ shuns away from the “telephoto” trend of recent years, and instead offers a regular camera, coupled with an ultra-wide-angle shooter. It’s a very similar setup to what we saw on the LG V30, with both cameras on the back having a 16MP resolution. The wide-angle lens, however, has a narrower angle compared to that on the V30 (107 vs 120 degrees), but also produces less distortion. The selfie snapper comes in the form of a single 8MP camera. While it doesn't have any hardware tricks to boast, it is expected to be an upgrade over the unimpressive selfie snappers of the G6 and the V30. One camera trend LG doesn’t shy away from, however, is the recent AI mania. That’s right, the new camera app has an AI CAM mode, which is capable of scene and object recognition. LG's algorithms can distinguish between more than 1000 objects and aim to tweak the settings accordingly for best results. For instance, photographing flowers boosts saturation, taking a photo of a document increases sharpness and contrast for better legibility, and if a group of people is detected, the software may switch to the wide-angle camera on the fly. This time around, LG doesn’t make any compromises with the G7 ThinQ, hardware-wise. The new flagship boasts a Snapdragon 845 chipset at its heart. This is Qualcomm’s current top-of-the-line silicon, and the G7 has everything to gain from it. The powerful CPU is paired with either 4GB of RAM and 64GB of storage or 6GB+128GB of the stuff, depending on the model you chose. The basic G7 comes with 4 gigs of RAM, while the G7+ packs 6 gigs. The LG G7 ThinQ comes with a 3000mAh battery. That’s smaller than the batteries that powered the G6 and V30, Qualcomm says that the Snapdragon 845 is up to 30% more energy efficient, and G7's display also promises up to 30% power savings. Of course, only proper testing will show how the G7 performs with its smaller battery. We’ve got our fingers crossed! LG says the G7 ThinQ will launch in South Korea over the following days, followed by major markets in North America, Europe, Latin America and Asia, although no specific dates are given. As for the price, a few online stores show that it would cost a bit more than its predecessor, at least in Europe and Korea, to the tune of EUR 850-950, depending on the model. Fret not, though, as prices in the US are usually much lower, and we doubt that LG will tag the G7 much higher than the S9, so the $750 ballpark could be a good starting point. Nice! Very sleek looking device and has all the features I want. Liking the G7+ with the 6gb of RAM. Weird and unbalanced form factor with huge unjustified height, and at the same time a small battery for its size. Plus a pair of last year's 1um pixel-size camera sensors also found in the V30. Fail. I have V30 and it seems the only thing better that G7 has is the latest SD845. Other then that V30 looks better, has no notch, has oled screen, has better proportions (is not that oddly long) and bigger battery. Cameras are mostly the same and even the wide angle camera in G7 has narrower field of view (107 vs 120 degrees). No reason to update at all. I like V30 much more. This looks like a winner. Only letdown is the battery size but time will tell. Not buying it until it's a $500 though :). Keeping the cost down(ish). They'll be putting everything into the next V-series phone. 849 euros in Germany for 4/64, dead on arrival. 845€ for 4GB version in Europe. LG is mad.